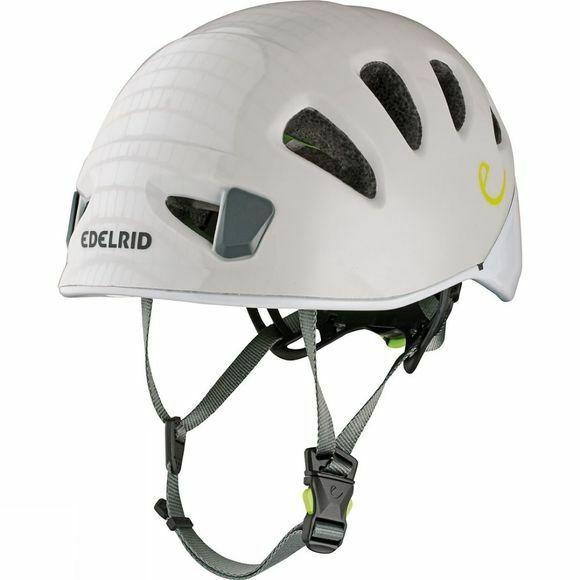 Lightweight and robust, the Shield II Helmet features an innovative closure system and excellent ventilation to provide great protection on long and demanding climbs. Edelrod's Wing Fit system and rear adjustment dial fits all sizes and guarantees outstanding safety and comfort. The Air Flow system with large vents ensures a constant supply of fresh air.